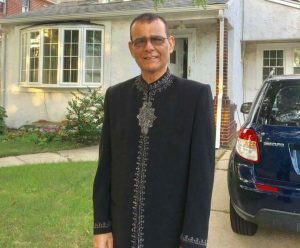 Well-known Guyanese author, Churaumanie Bissundyal died on Tuesday in New York, relatives said. Sources said Bissundyal died at about 3:30 PM at the Mount Sinai Hospital in New York where he had gone for heart surgery. While in Guyana, he worked at the Mirror newspaper, a publication closely aligned to the main opposition People’s Progressive Party. Prior to returning to New York last year, Bissundyal was a lecturer at the Fiji National University for several years. He was born at Mahaicony, but grew up on the Essequibo island of Leguan. Peepal Tree Press states that he attended an Anglican school in Leguan and later worked as a schoolteacher in the North West District, and then teaching English and Hindi at the Hindu College, Cove and John. He has worked as a civil servant, as an insurance inspector on the sugar estates of the Corentyne and as a book reviewer for the Mirror newspaper. Under the pseudonym of Omartelle Blenessequi he wrote and self-published in 1976 a long poem, Glorianna, which deals with a mystical goddess figure in the context of Kali Mai worship. His unpublished poem, The Stream of Red Tears was awarded a certificate of excellence at Guyfesta 1975. In 1985, he self-published The Cleavage, a long narrative poem which deals with the historical experience of indentured Indian immigration, the loss of cultural wholeness and the halting path towards the regeneration of a new Indo-Guyanese culture out the fragments of the past and immersion in the Guyanese land. His novel, Whom the Kiskadees Call, explores a dialectic between beauty and repulsiveness and the impulses to revenge and forgiveness. It draws on Bissundyal’s experiences of living in many parts of Guyana for its vivid descriptions of place, whether forested river, sugar estate or urban shantytown. Bissundyal was also actively involved in theatre and has written and produced plays in Guyana and Canada, in a variety of settings: formal theatre, community workshops and ‘dinner-theatre’ in Georgetown hotels. His plays include: The Trick and the Raajah, From Ganges to Demerary, The Migrant Error, The Jaguar and the Flute, I is a Jumbie and From Palos to Guanahani.